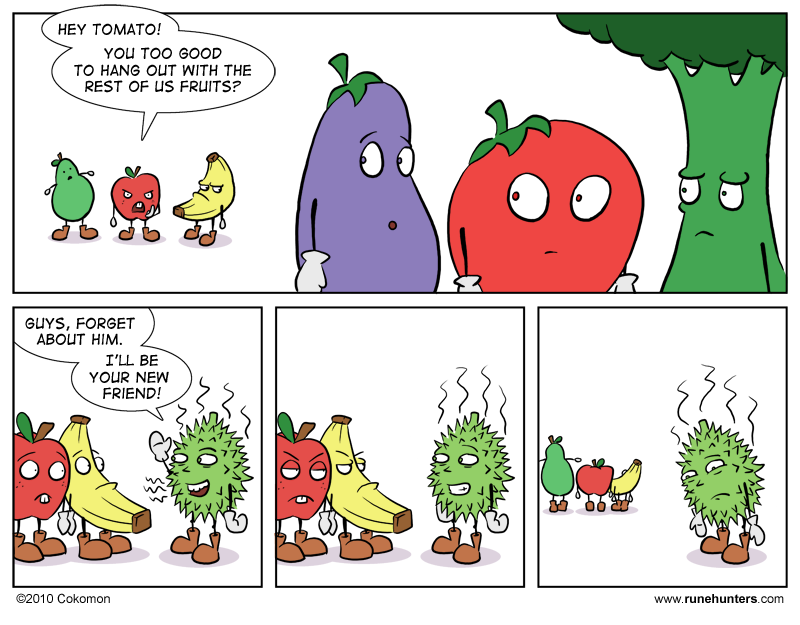 Wow, another Fruit Comics special. That damned apple keeps on appearing in my comics. It looks like there is a split between the fruits and veggies, as well as strange fruits from the south seas. I wonder if this is going somewhere. Aren’t pears and apples botanically *wrappers* for fruits? An orange and a cherry might have been more relevant here. Eggplant is a fruit, too, I think, so he’s probably feeling left out as well.